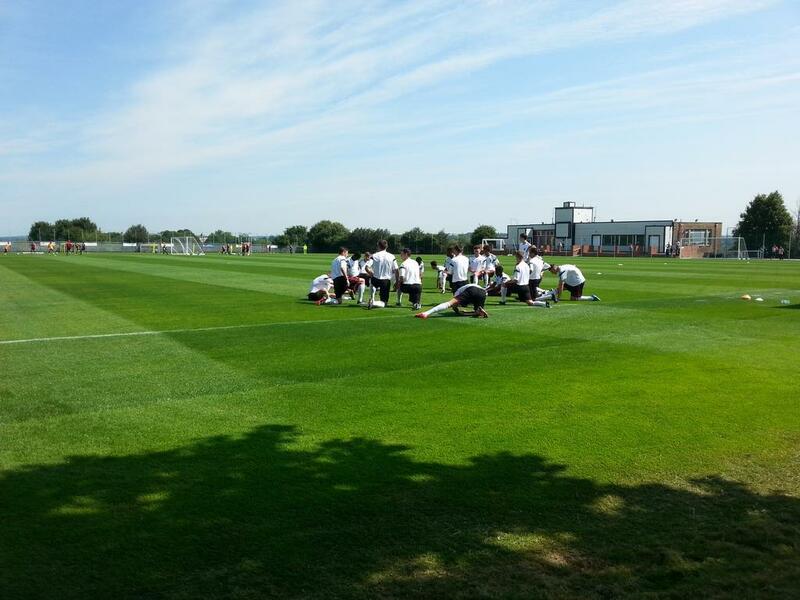 Sheffield United U18 won for the sixth time in ten games against Yorkshire rivals Huddersfield Town on a crisp morning at Shirecliffe thanks to an own goal and a free kick from Jordan Hallam. The home side got the game underway a couple of minutes later than scheduled and they dominated the early proceedings despite Town having the first attempt at goal. After Tyler Smith was fouled in the 7th minute, Gilmour delivered a delicious looking free kick with his left foot which the Huddersfield defender managed to divert behind for an early corner which came to nothing. 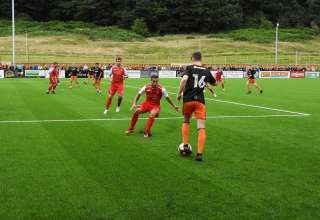 It wouldn’t be long before the Blades pushed forward again, though, and it was Hallam who won another free kick in a dangerous area after being felled on the edge of the area. He dusted himself down and took the kick himself, only to fire straight into the wall at waist height. 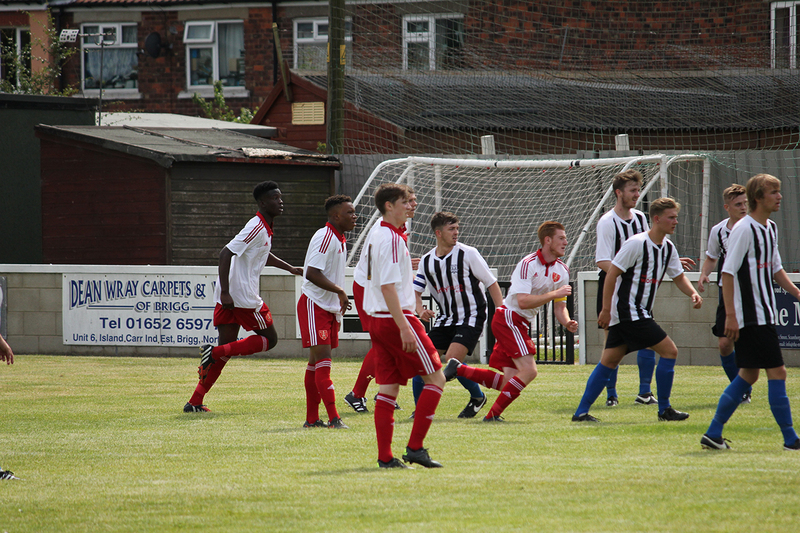 After Charlesworth had an effort blocked, the visitors tried to get a foothold on the game and broke well before a decent chance was put wide from the edge of the box before a through ball was well covered by left back Alex Brown as he held off the attacker for Ramsdale to smother. 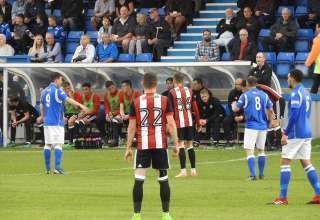 The deadlock was broken in the 26th minute, as the Blades won a free kick in a similar position to earlier on in the half. Harvey Gilmour once again delivered a fantastic in-swinging free kick, with a Town defender unable to clear he poked the ball past the despairing dive of Ryan to give the hosts a deserved lead. Huddersfield looked to respond quickly and forced Ramsdale into his first meaningful save of the game in the 28th minute. A cross from the right saw Rekeil Pyke rise above the Blades defender to head goalwards, with Ramsdale somehow tipping the ball onto the top of the bar. Aaron Ramsdale would be made to work again by Town winger Jack Boyle shortly after, but not before a great chance for United to double their lead. 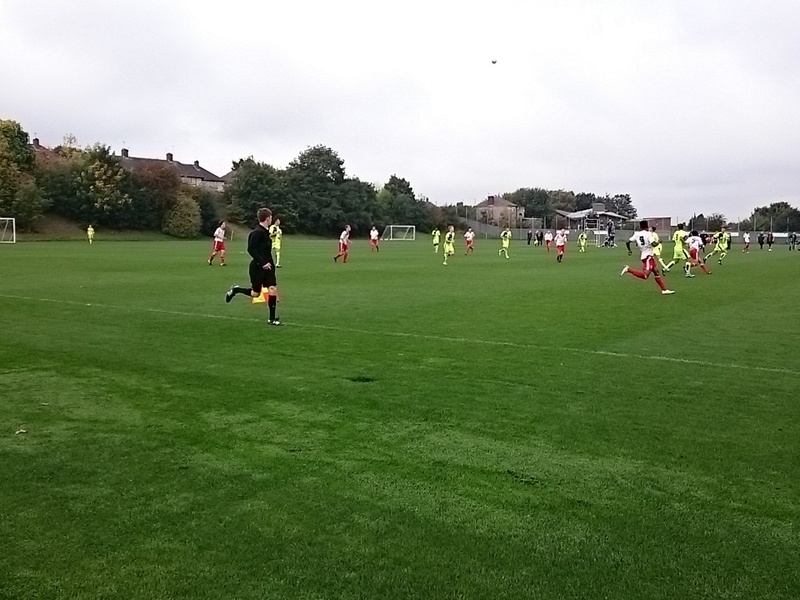 Ramsdale’s kick seemed to be too long for everyone, but Smith showed fantastic pace and determination to reach the ball at the byline and hook the ball back for the unmarked Jorome Slew, who headed wide from the penalty spot. Both sides huffed and puffed in the latter stages of the half, but the Blades held the lead at the interval thanks to the own goal. Huddersfield pushed for an equaliser early on in the second period, causing problems for the United defence when Brown fouled the ever dangerous Boyle on the right. The free kick was whipped in well but Cummings managed to clear and the home side could relax. There was some controversy to follow, as Hallam was fouled when trying to play a ball through to Slew. Slew ran onto the ball and seemed to have a one on one, only for the referee to call the play back for a free kick. The striker did appear to be offside but there was no flag from the assistant and there were plenty of complaints from those in red and white. 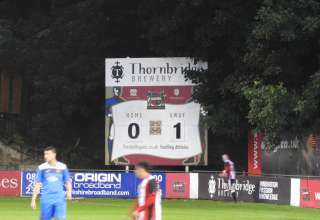 However, those complaints were soon forgotten when JORDAN HALLAM fired an unstoppable free kick into the top corner from around 25 yards to give the Blades a two goal cushion. Other than the early goal, it was a fairly quiet start to the second half with the Blades seemingly in control and Huddersfield struggling to create anything other than long range efforts. That was until the hour mark, when Gilmour and Boyle both went in strongly for a challenge. Gilmour was slightly late and over the ball, causing a big crowd to gather with plenty of pushing and shoving whilst the Town winger received treatment. Gilmour was booked for his troubles. After receiving treatment, the clearly angry Boyle was allowed back onto the pitch and clattered straight into Gilmour with no intention for playing the ball. As he was already on a booking, he was shown a second yellow card and stormed off the pitch. He went straight past the dugout, kicking a bag of bibs in frustration before heading to the changing room. The game soon became much more physical, with United manager Travis Binnion sensibly opting to substitute Harvey Gilmour to protect him from a red card or an injury. After the red card, the visitors were more than fired up and really pushed to find a way back into the game. A cross from the left was deflected on to the post in the 70th minute and they were looking much more dangerous. They were rewarded three minutes later when a pass deceived both Cummings and Semple, allowing substitute CEDWYN SCOTT to fire low past Ramsdale. Scott’s pace made a big difference to the game and he came forward again moments later, testing Ramsdale with another low shot before the Town right back Clibbens fired high and wide. 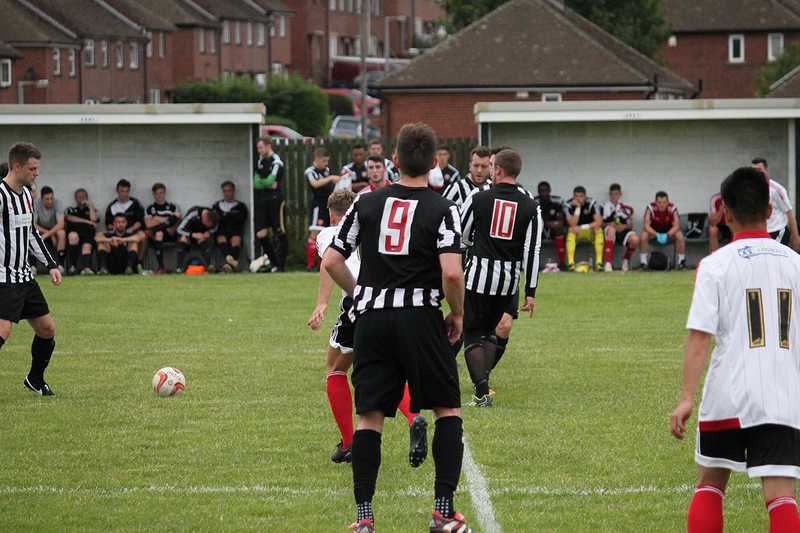 Scott then teed up Francis, who was denied again by Ramsdale who was having another solid game for United. The Blades reacted by replacing Jorome Slew with Brodie Litchfield up front to try and swing the game back in their favour, and that worked briefly as the tricky Tyler Smith crossed for Litchfield, but the first signing from the ‘United Futures’ scheme couldn’t quite reach it. Huddersfield desperately pushed forward trying to get a late equaliser against the odds, and were outraged when they were denied a penalty after Tom Charlesworth seemed to place two hands on the back of the attacker. The home side could perhaps call themselves fortunate with that one in the 88th minute. 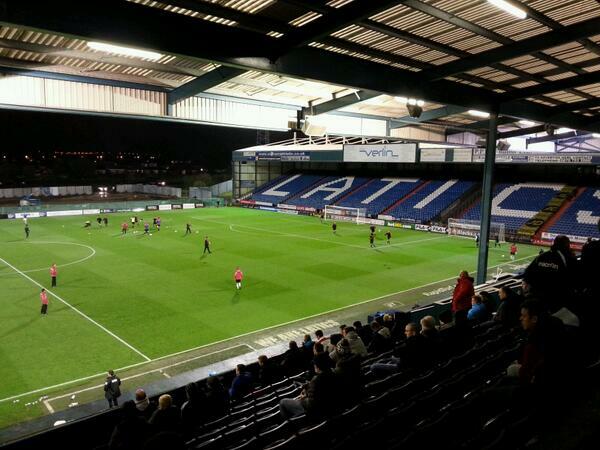 That would turn out to be the final action of the game, and the referee called an end to an entertaining game after three minutes of injury time to continue an impressive start for United’s youngsters; they’re now four points off top spot with a trip to Bolton to follow next week. Born and bred in Sheffield. 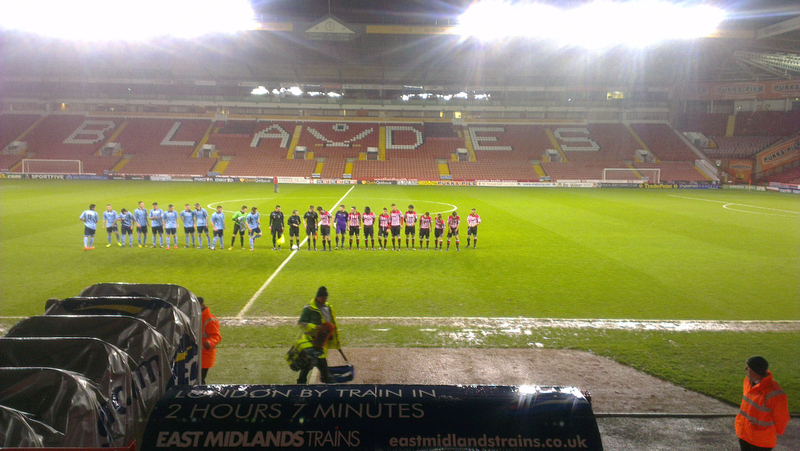 Volunteers as the SUFC researcher for Football Manager but is better known around the forum for his passion towards the Academy.